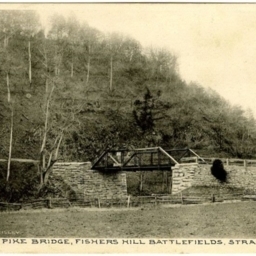 Postcard showing a picture of the Valley Pike (Route 11) bridge that crosses Tumbling Run near the Fishers Hill Battlefield. 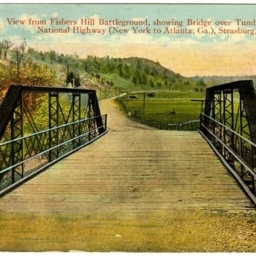 Color postcard showing a picture of the Valley Pike (Route 11) bridge that crosses Tumbling Run near the Fishers Hill Battlefield. 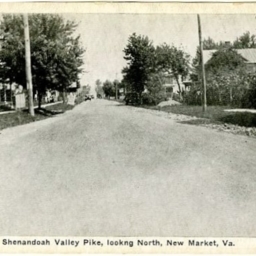 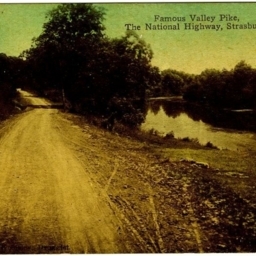 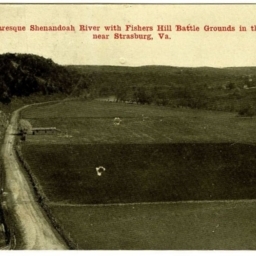 Famous Valley Pike, The National Highway, Strasburg, Va.
Postcard with a picture of the Shenandoah River as it flows near US Highway 11 (Old Valley Pike) near Strasburg Virginia.